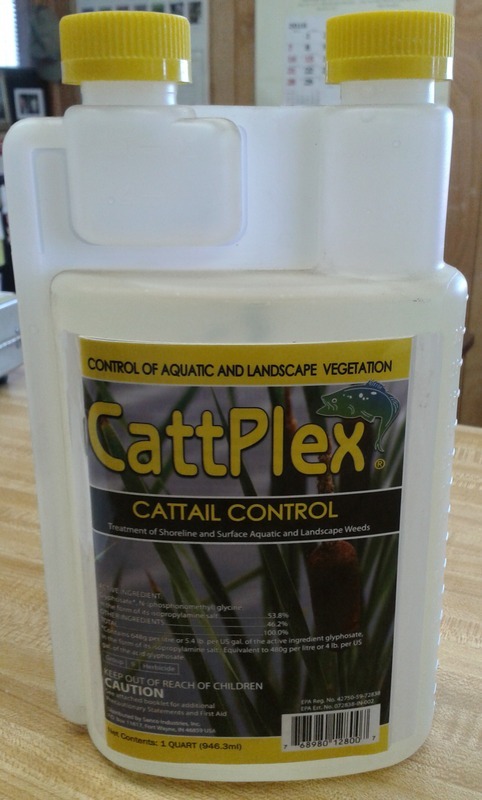 CattPlex- Herbicide. Aquatic approved glyphosate based weed killer. Crystal Blue Catt Plex- Herbicide kills emerged weeds like cattails and water lilies to the root.